T-Tech Tattoo Device Inc. is a tattoo equipment technology company that specializes in manufacturing and distributing proprietary tattoo needle cartridges and grips. Back in 2008, the founder and owner of the company, who remains his position as our main mechanical engineer, went on a research mission into the processes of tattoo equipment manufacturing. Captivated by the idea of designing highly efficient top-quality product, he believed compatible tattoo needle cartridges to be the future of the industry. While conducting a thorough research into the manufacturing processes and industry trends, he became confident that his vision of delivering innovative product can become a reality. His vision was simple – find the best manufacturers and use only top-quality medical-grade materials for every single item. And he didn't miss a beat! Long re-designed the existing needle cartridge system for precision and efficiency, applied for a patent, and by 2010 the company was shipping internationally from the Toronto headquarters. Today, we're more focused on innovation than ever before. As we grow our ranks and capabilities, we look to the future of expanding our product collection, designing new equipment, and wholeheartedly supporting our beloved tattoo community! T-Tech's prioritizes quality above all. That's why we humbly offer tattoo artists an outlet to use innovative, high-quality hygienic tattoo supplies while maintaining an affordable price for each item. T-Tech products have standard features such as needle precision and full compatibility of our items with other products on the market. That's why our product quality and functionality continuously aims to improve the tattoo experience for both our artists and their clients. So far, we offer two generations of patented tattoo needle cartridges and compatible grips. We guarantee excellence by subjecting each design to rigorous testing and all items to a quality control process. 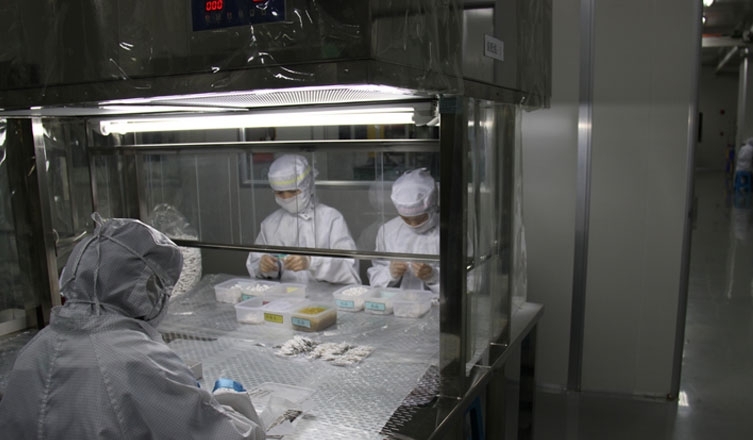 All of our disposable items are EO sterilized and individually packaged in a specially built Cleanroom ISO 8. We design and distribute our tattoo supplies globally from our Toronto location. You can place your order directly through our website! T-Tech strives to continue improving its products and lead the industry by example. We understand that engineering doesn't always cover all basis, that's why we fancy collaborating with artists on design and functionality. We listen to your suggestions, take your feedback into consideration, and always come up with ways to make collaborative ideas a reality. So come by our office or send us an e-mail. Let's work together in bringing our ever-growing community together! 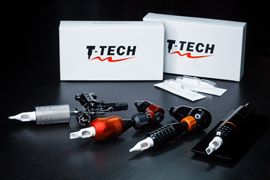 T-Tech aims to provide tattoo artists with an outlet to use specially engineered high-quality tattoo equipment and accessories while maintaining an affordable price for each product. We recognize the importance of quality in all tattoo supplies, as well as their precision and compatibility with other products on the market. That's why our engineers are hard at work to innovate and develop new products and provide our valued clients with the best possible experience! Innovation is at the heart of T-Tech Tattoo Devices Inc. Providing tattoo artists with re-imagined and fully patented designs of their favorite products is what our newly expanded group of engineers have in mind. We see this industry as an opportunity to offer tattooists with the greatest experience while promoting the highest standards of design, hygiene, quality control, as well as technological optimization. T-Tech Tattoo Devices Inc. leads tattoo industry by example with its methodical quality control and sanitary production. 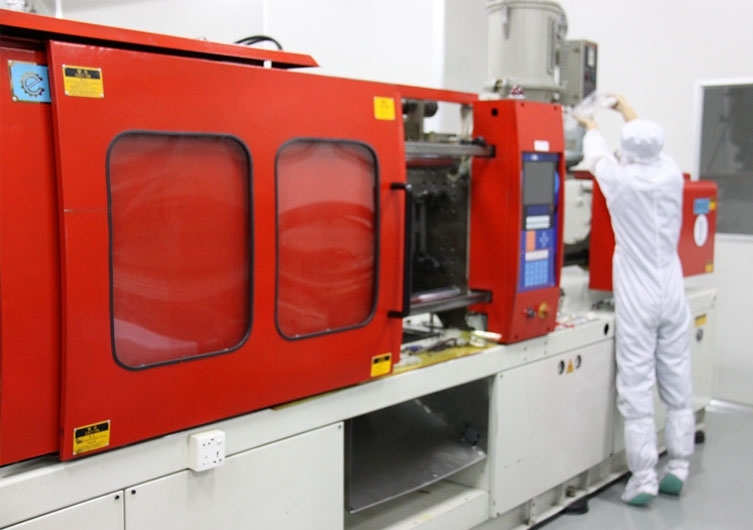 T-Tech assembles all tattoo needle cartridges in a specially-built Cleanroom ISO 8 (Class 100,000 Air Purification) to oversee hygienic assembly, sterilization, and packaging of every disposable item. 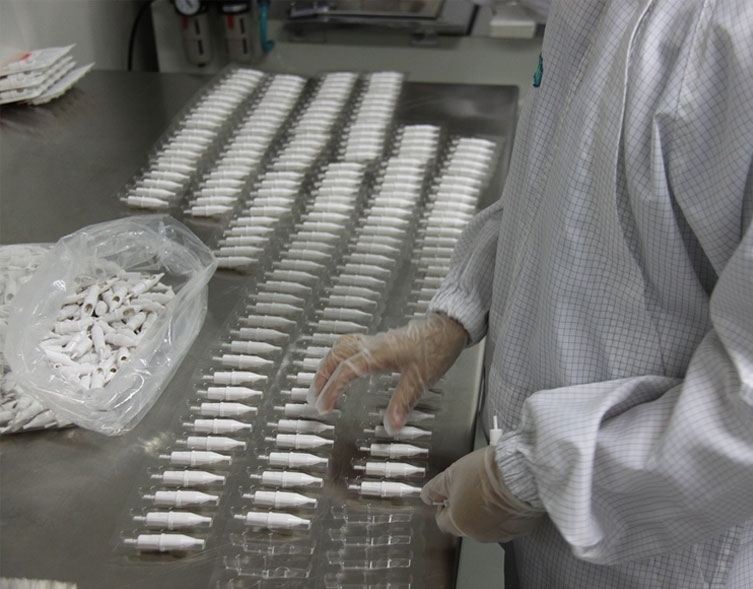 We only use medical grade materials, such as plastic, rubber, and surgical steel. All of the T-Tech needles get thoroughly checked for consistency before assembly.